One of the many appeals of a holiday in Turkey is its culture and history. The country has much to offer all kind of holidaymakers and how better to enjoy it than staying in holiday accommodation with a swimming pool. The weather is reliably sunny in Turkey during the summer. The main holiday season begins in earnest during the first week of May and extends until October. Swimming pools and even the sea are beginning to warm up although both are warm at the height of summer. 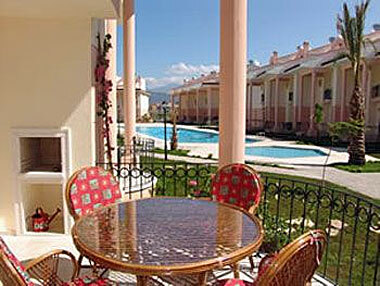 There are plenty of holiday apartments and villas to rent in a holiday complex with a pool. Some people hardly venture outside the complex, for others the bazaars and local attractions beckon. Turkey has a large number of coastal resorts where most holiday rentals are found. People like to spend time at the beach although many prefer swimming in the pool rather than the sea. One of the pleasures to be enjoyed on holiday in Turkey is a boat trip exploring the coast and its coves and beaches, especially between Antalya and Izmir. Sometimes there is the chance to swim off the boat in an azure blue bay and spot dolphins and turtles. A villa inland can also be a very good experience. 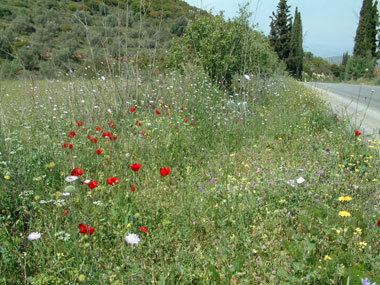 Rural Turkey is quite mountainous in the south west, main roads are generally good although tortoises are often victims. With a hire car, the villa and its pool become a place to rest and sleep when not going out on day trips and there is plenty to see depending on the area.. The city of Istanbul standing at the crossroads of east and west holds a certain mystical attraction. A blend of cultures has developed a vibrant modern city that people flock to, often to visit the heritage of bygone ages. The 6th century Byzantine church Hagia Sophia and the associated museum are held in high regard. The ruins of the ancient town of Ephesus, which is mentioned in the Bible, lie near Selcuk. People come to see the ampitheatre and ruined streets of the town. This and many other ruins attract amateur historians and holidaymakers alike. There are numerous sites in Turkey where tombs are built into rock faces or indeed entire underground cities await modern day exploration. One such underground city is Kaymakli in Cappadocia. One bonus of this visit is the good wines of the region. There are various other subterranean dwellings at Derinkuyu, Özkonak and Ürgüp. 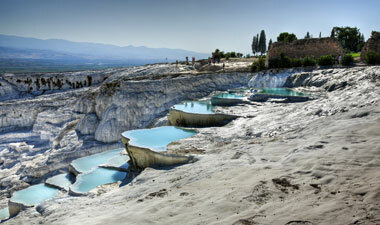 Pamukkale is a collection of natural pools on a hillside formed by deposits of white travertine, carried by hot springs. These can be found just north of Denizli in south west Turkey. At one time, people paddled in these natural pools but that has been stopped to prevent soiling and erosion. There are a number of ruins and a museum, plus various eateries and gift shops in what is now a recognised World Heritage site. Most of the area is exposed to the sun and can be baking hot in the summer. Many tourists prefer to book day trips rather than self-drive although driving in Turkey is quite simple as long as drivers appreciate local conventions of driving straight onto roundabouts without giving way. Once at your holiday villa, it is easy to pop into town and obtain details of local trips. Wild flowers spring up almost overnight as soon as spring dawns. Book a holiday in Turkey for mid April onwards to see the best spring scenery and flora. Every meadow, grass verge and rocky hillside is covered with flowers of one kind or another and the land turns into God's rock garden. Once the strong sun arrives, the greenery begins to fade and dry. The trees still remain green but the spring beauty disappears. There are fewer tourists early on in the season, the seaside resorts are uncrowded and it is much pleasanter to walk around the various tourist attractions and cultural heritage sites in balmy spring weather than under a scorching sun. Leave the hottest weeks of the year for the beach lovers and sailors or you will find that swimming pool irrestible.